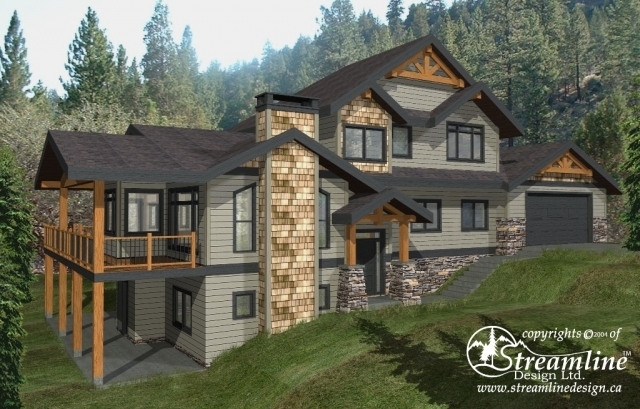 This timber frame log home plan offers a functional layout with a large kitchen open to a living room and eating nook. 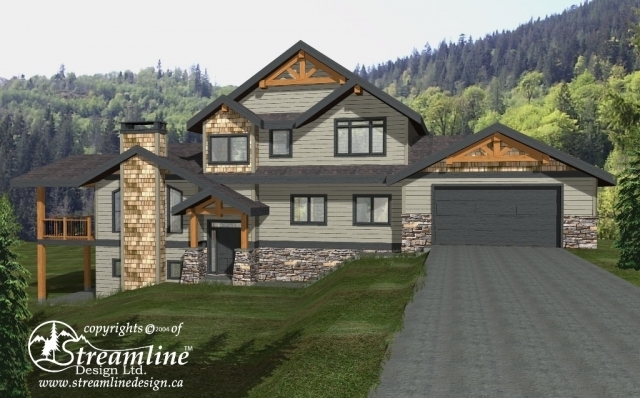 Master with ensuite and walk-in closet, dining room, den, powder, laundry and two car garage finish off the main floor. 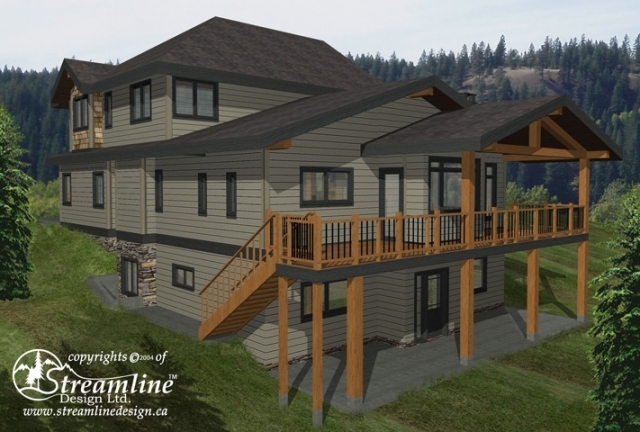 Upstairs are two bedrooms, two full bathrooms and a flex room. 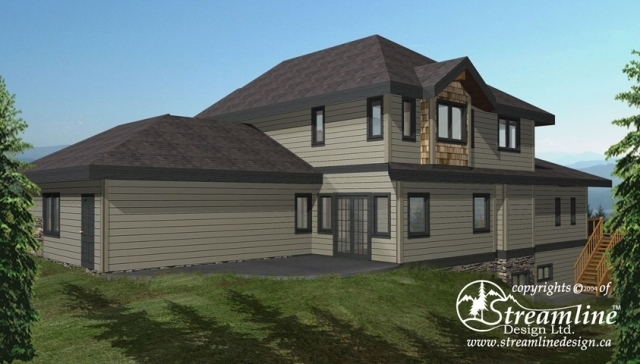 In the basement is a home gym, full bathroom, office and a large one bedroom suite complete with full bathroom and separate laundry.